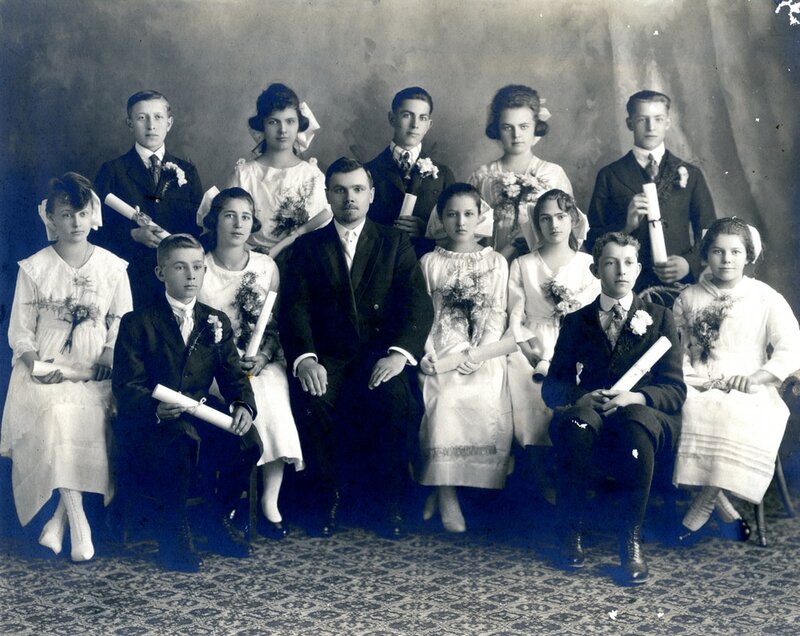 The Second German Congregational Church Confirmation Class of April 13, 1919. Front row from left to right: Christina Schreiner, Henry Schmer, Katharina Weidenkeller, Rev. Heinrich Hagelganz, Maria Schafer, Katherine Hagelganz, Alexander Schreiner, Emilie Helzer. Photograph courtesy of Joanne Krieger and Lillian Lawrence (née Schmer) who identified her father, Henry Schmer, and all of the other class members.